Some years ago my husband and I were traveling in Vietnam and we ate these bony "grilled pigeons". I think the restaurant owners meant grilled quails. I remember they were very thin with little meat. I was hungrier after eating them! Quails are called chim cúc in Vietnamese. 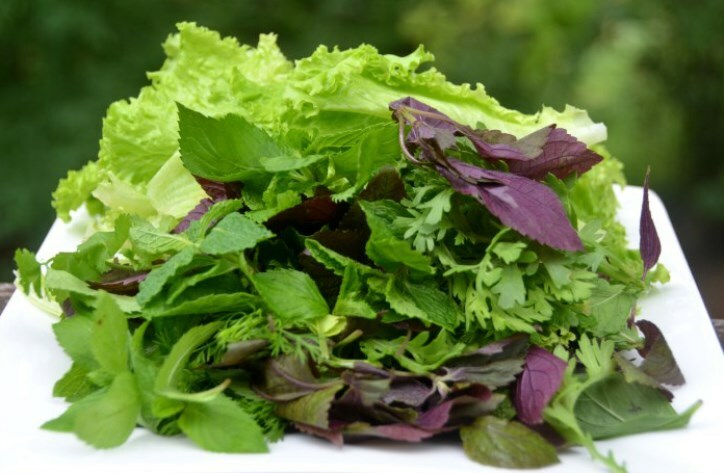 1) Mix the lemongrass, garlic, wine, oil, sugar, fish sauce, black pepper and salt in small bowl. 2) Pour this over the quails and let it marinade for 15-20 minutes. 3) Grill at 350 degrees Fahrenheit for about 20-25 minutes. Turn the quails about every 2-3 minutes. 4) For the last 2 turns brush butter on the each side of the quails. 5) Remove and sprinkle a few pinches of salt on each side of the quails. *I used a plastic bag to marinade the quails. The bag makes it easy to move the quails around to soak up all the sauce. 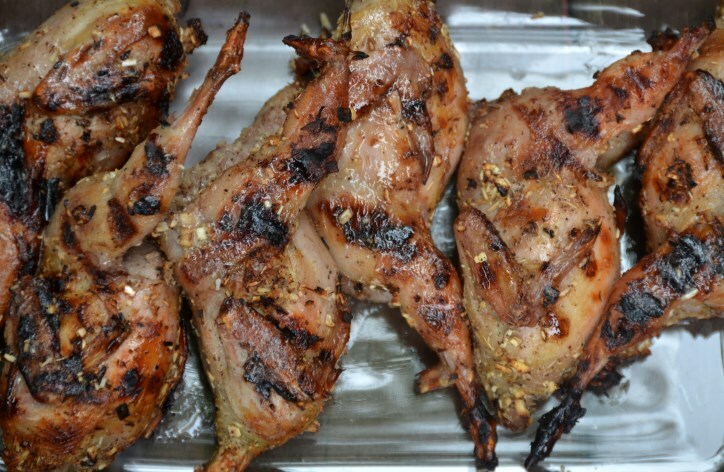 *When grilling, turn the quails onto each side every 2-3 minutes for even grilling and to prevent burning. You can use gas or charcoal to grill. In Vietnam most grilled food are grilled over charcoal since that is accessible and cheaper for most people. *You can eat the grilled quails as is or eat with steamed rice or cooked rice noodle accompanied with a large plate of fresh home-grown vegetables and herbs. You can dip the grilled quails in a Vietnamese dipping sauce. *I bought these quails in an Asian market. These quails were raised here in the States. The last time I was at Market Basket (in New Hampshire) I noticed that they have them available. Also, check with your local farmers. 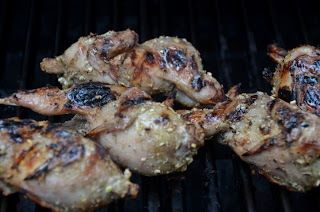 If you prefer not to use quails you can use the same marinade for chicken wings. The 6 quails came to about a pound and 10 ounces.